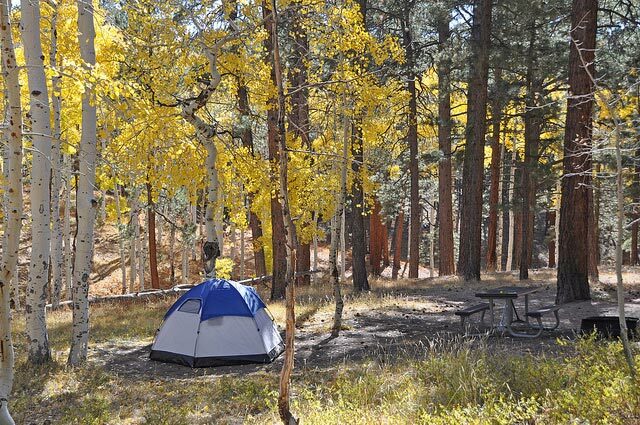 Along the North Rim of the Grand Canyon, the quaking aspens are turning various shades of green and gold, the nights have a decided chill, and the days are getting shorter. Yes, it is that time of year – time for the annual shutdown of visitor services on our more remote rim of the canyon. Today marks the final day for most visitor services. October 15th is the last day for lodging reservations and the 16th for the final meal to be served in the lodge. Below is the schedule for most of the national park and concession services. You’ll also find a list of links at the bottom for more helpful information. The North Rim will close for the season at 8:00 AM on Tuesday, December 1st or until snow closes State Highway 67 leading into the park.